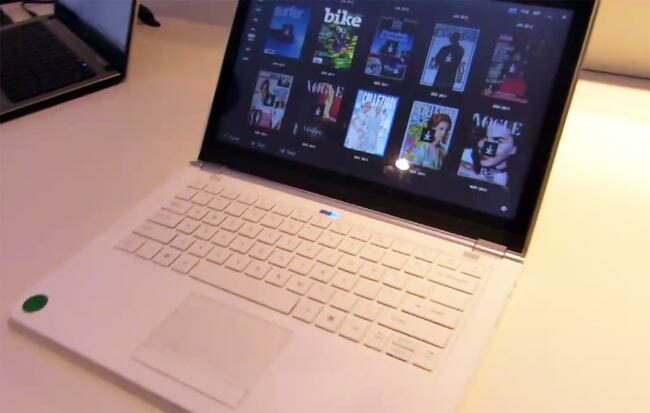 Intel has shown off a new touchscreen ultrabook prototype, the device is a reference design and it features a 13.3 inch touchscreen display with a resolution of 1600 x 900 pixels. The video below shows the device in action and it is running on Intel’s new Ivy Bridge platform, and comes with built in 3G and NFC, have a look at the video. There are no details as yet when we might see these touchscreen ultrabooks in the stores, as the device is a reference design, so we are probably a while away from seeing these ultrabooks being launched by various manufacturers.